Being a professional hockey player has taken Scottie Upshall of the Phoenix Coyotes far from home on many an occasion, whether it's the thousands of miles that he accumulates on airplanes during the NHL season or the international competitions that take him to places he may not otherwise have gone were he not a hockey player. 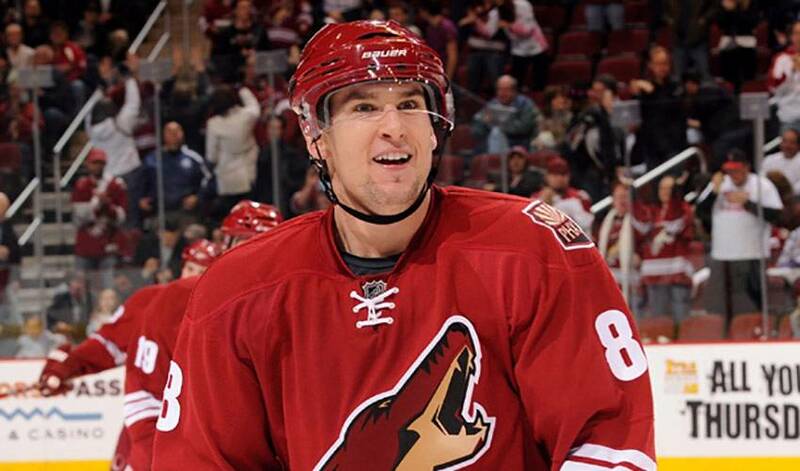 This week, Upshall finds himself and his Coyotes teammates in Prague, the capital city of the Czech Republic, to play a pair of games against the Boston Bruins as part of the 2010 Compuware NHL Premiere Games Euro-trip that will help kick off the 2010-11 NHL regular-season. Not that the 6th overall draft pick of the 2002 NHL Entry Draft minds much. “I love travelling – it's something that this game has given me as a hockey player,” the 26-year old native of Fort McMurray, AB recently told NHLPA.com during a little downtime in Prague. Upshall, a former Kamloops Blazer in his junior days, has been able to cultivate his globetrotting ways over the years as a member of Under-18, World Junior Championship and World Championship Team Canada squads, having travelled to tournaments in Finland, Pardubice of the Czech Republic and Switzerland. Now a pro, the right-winger seems happy to be back in familiar territory, albeit foreign. Upshall's one regret? Being on a hockey player's schedule, not a tourist's. While some teams are a little more vocal about the potential negative consequences of having a long road trip across the Atlantic Ocean to begin the season, you will not hear any such complaints from Upshall, who sees the benefit of getting outside of the team's comfort zone and doing something new. “Taking in this experience, getting away from Phoenix for a little bit, bonding with the guys here on the road, it's been great. I can't say enough about it.” Upshall said. Spoken truly like a man who is comfortable with being on the road.